Officially Offside Album in the Media! 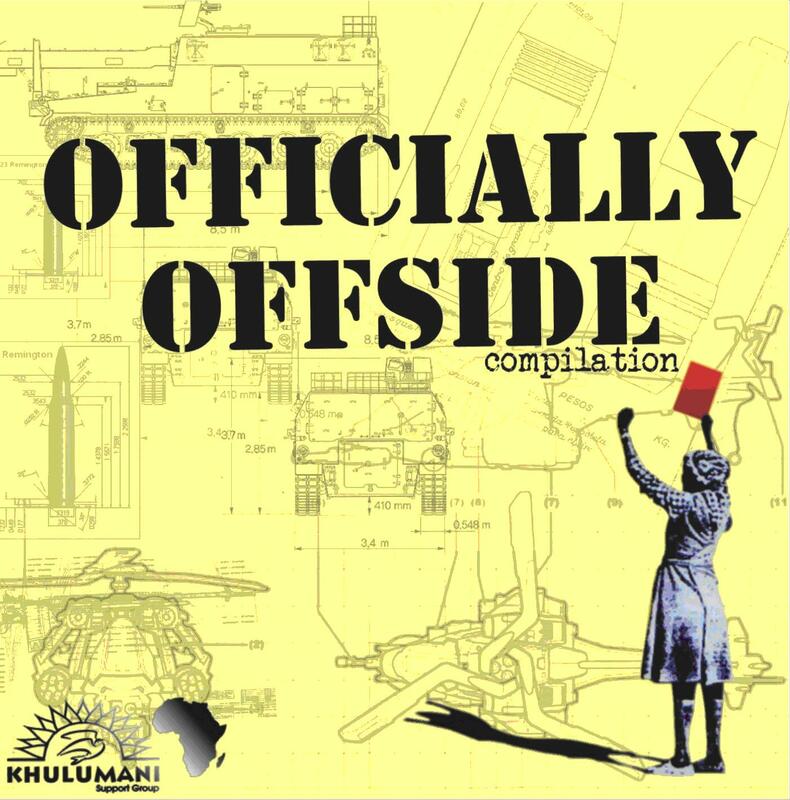 Having only been launched last Friday at the National Arts Festival in Grahamstown, and yesterday online, the Officially Offside album has already been noticed by the media here in the Eastern Cape. On Friday, the Herald and Daily Dispatch both covered stories about Creamy Ewok Baggends, whose first track on the album ‘Shame on the Game’ has captured people’s imaginations worldwide. Check out the story on Ewok here. And getting some well-deserved credit for all his hardwork to make the dream of this album a reality, today’s Daily Dispatch is carrying a story on Xolile ‘X’ Madinda (the brains behind the operation) and how the whole thing came together so beautifully. Big ups to X and to all the artists on the album. Listen to the Music. Join the Movement. Demand Corporate Accountability. Officially Offside album goes LIVE! Today we can officially announce the launch of the amazing album in support of the Khulumani Red Card Campaign: Officially Offside! Produced in South Africa, but including artists from 14 countries, this album is a global collaboration of social justice minded hip hop artists who are all calling for corporate accountability. The album was launched at the Grahamstown National Arts Festival on Friday, 26 June, with a line-up of artists including Wordsuntame (track 21) and half of Blk Sonshine, Masauko Chipembere. Follow-up spoken word gigs to promote the album will be held at Equilibrium on Friday and Saturday 2 & 3 July. As part of the movement to demand justice musicians and hip hop artists from around the world have joined forces to support the Khulumani Support Group and its campaign for corporate accountability. We’ll be adding their songs and giving updates about their activities on the Music 4 Justice page – so check that out for your dose of Hip Hop activism! One of the key organisations helping out with the music is NomadicWax an African-focussed hip hop and social activism record label. Check out this BBC article about the label and some of its other work. Join the movement. Listen to the music. Take action to demand corporate accountability.